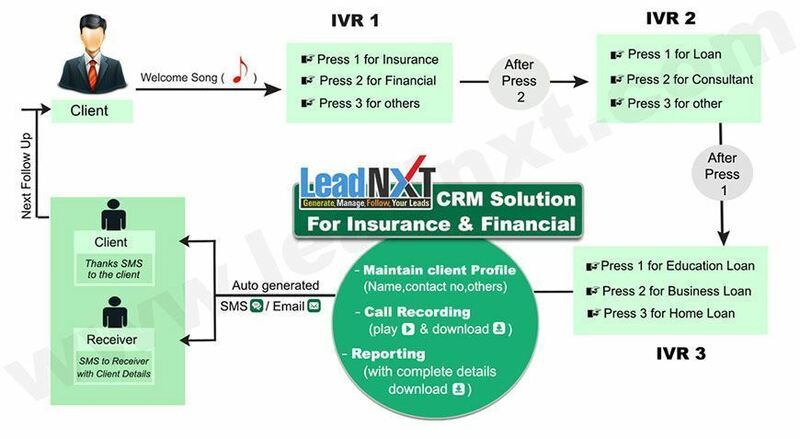 LeadNXT CRM Solutions is concept-ed for Insurance & Finance Industry. It caters solutions for your organization to capture the target audience and increase the business activities, which constitute sales, marketing, partner management and customer service. It attributes robust and customer-centric solutions which play a vital role in managing the entire customer service cycle so as to increase the business efficiency and benefits. IVR Solutions – It acquires with the quick response of the customers through the anonymous set of information which the customer is looking for. We accommodate all the information on fingertips by putting up the efforts to solve your doubts without annoyance to the customer, which results in increasing business efficiency and productivity. We make sure to present complete customer satisfaction by accommodating best services. CRM Solutions – It maintains client profile which constitutes all the information and reports of the customer which enables the growth of the business. .It helps in increasing business proficiency and develop customer retention, this service helps in gaining the better insight of the business programs by tracing the business activities and performance which boost results of increasing customer productivity.